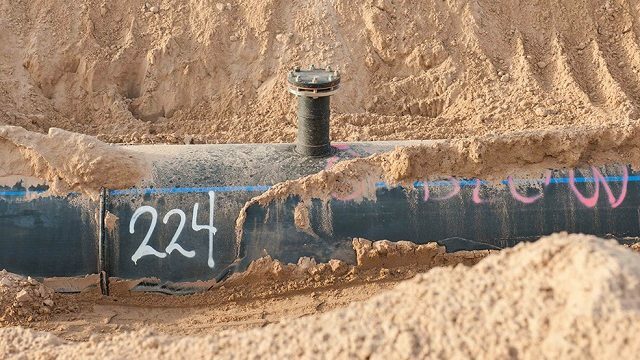 The San Diego County Water Authority is planning to co-sponsor a nationwide contest to advance leak- and corrosion-detection technologies for large-diameter pipelines. The competition runs through May 8 and includes a $75,000 prize provided by the U.S. Bureau of Reclamation. The Water Authority is helping to design the competition and providing judges to identify new approaches to detecting problems with pipelines. Corrosion and leaks result in billions of gallons of wasted water annually, the authority said. Contest sponsors are seeking proposals that describe “novel technologies” for detecting leaks and flaws in pipelines, the authority’s statement said. Proposals will be evaluated for cost-effectiveness, scalability and reliability in assessing condition regardless of pipeline size, depth or material. During the first stage, judges will merely look at proposals, but organizers envision a second stage with a larger purse that would involve demonstrating the concepts. Contest entries must be received by the Bureau of Reclamation’s partnering innovation marketplace, InnoCentive, by midnight on May 9. To learn more about this competition, visit: https://www.usbr.gov/research/challenges/leakypipes.html.